The vehicle had been experiencing a light throttle misfire at speeds from 40mph up to 70mph. Only occurring on very light throttle and especially with the Cruise Control set the engine was missing badly and getting worse and worse. 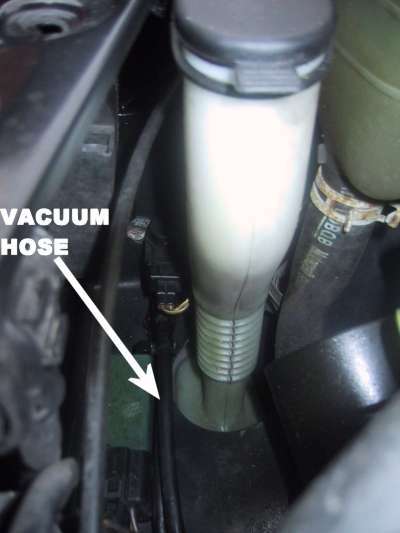 The local Ford Dealer took it for a test drive and when returning found a vacuum pipe that had been disconnected from a solenoid mounted on the drivers side inner wing next to the washer bottle. 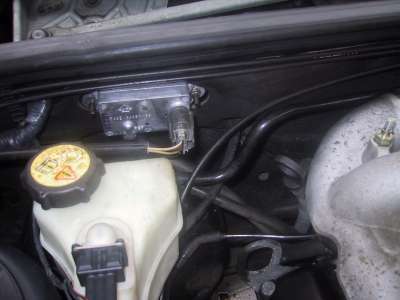 Upon reconnecting the problem reduced in severity but was still noticeable and so they disconnected the EGR valve at the inlet manifold, plugging the vacuum hose with a bolt. This appeared to have cured the problem and so it was booked in the following day for further diagnosis. It was hooked up to the FDS 2000 which ran through it's test sequence and eventually identified a faulty Pressure Transducer mounted on the bulkhead. When replaced and the vacuum hose reconnected to the EGR valve the problem was cured. Even though Fords took approximately 4 hours to locate the problem, the total labour cost was £119, the Transducer was £47. Whilst testing with the FDS 2000 they identified that the Catalysts were both on their way out. Fortunately I recently got a new MOT so it won't be a problem for a while.